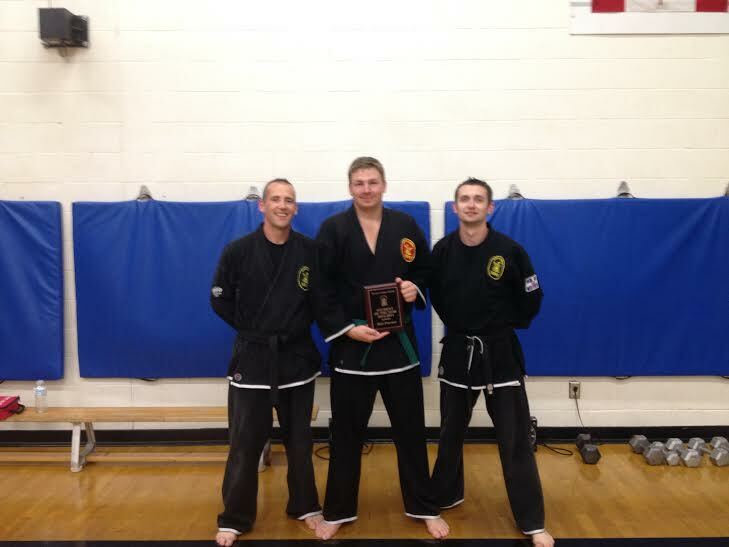 Congratulations to Matt Fournier for being recognized as the “Student of the Year” for the 2013-2014 Kenpo season. This award is given annually to the student that demonstrates the best combination of ability, effort and attendance. Matt received his Green Belt in early 2013. In March of 2014, Matt placed 1st in the Green Belt division at the Kenpo Top 10 Tournament in Montreal, Quebec. This entry was posted on Thursday, September 25th, 2014 at 12:45 am. You can follow any responses to this entry through the RSS 2.0 feed. You can leave a response, or trackback from your own site.